The Revelation of Brian A. Pearlmitter continues in Book Four: The Celebration. 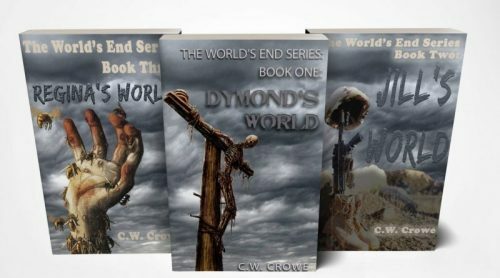 Conceived as a multiple volume, continuous story arc, Book Four finds the group of main characters preparing to do the task assigned to them by the alien presence who calls himself Brian A. Pearlmitter – a task so staggering in its implications that the fate of literally the entire universe rests on their shoulders. In Little Rock, the two youngest members of the Connection grow into leadership roles as they attempt to explain the Revelation to an entirely new group of potential members. In New York, the group struggles with uncertainty over outsiders who know a lot about the group and whose actions are cause for alarm. Roger and Jane look back over all that has happened as they plan for a new chapter in their lives. Even though they both know that things will never be exactly the same between them, they prepare to celebrate all that has been accomplished as they look forward to what lies ahead. It is a celebration shockingly unlike anything that might be imagined. 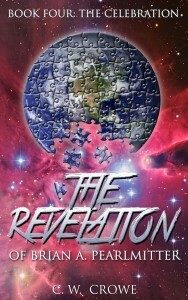 Don’t miss The Revelation of Brian A. Pearmitter Book Four: The Celebration.